Everyone is wonder about celebrating their precious honeymoon moments in Manali and Himview Holiday Offers the best Manali honeymoon package for couples to make unforgettable memories of their special event. Manali is listed in World’s top Tourist places. Manali is the beautiful creation of God where you will the feel the complete view of natural scenes, Snow covered mountains, Forestry, breezing fresh air etc. Couples will love to stay here and make their honeymoon memorable. Manali Honeymoon package is an all season tour package for Manali. 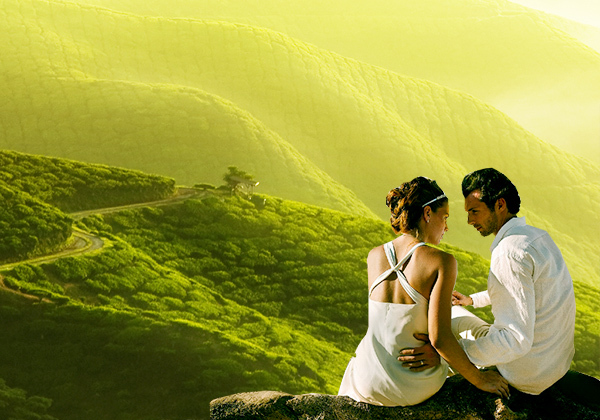 The couples want to spend their very private time in the hills with peaceful and pleasant weather. Manali is the safest place for wanderers as the habitats of the region are tourists friendly. Manali Is Beautiful tourist spot located in district Kullu of state Himachal Pradesh. Manali takes 2 hours of reach from Kullu and almost having 40 km distance from Kullu. Travel buses , Taxi’s are available for any time. Conditions of road is very healthy and you can enjoy the smooth travelling experience in Kullu-Manali. Manali is also called as Devbhumi and world’s famous tourist spot where every year large numbers of tourists comes from every corner of the world. Manali is also very famous among outside the India and you can also see group of many foreigners. Manali is famous for its tremendous beautiful natural scenes and places like Solang Nala, Rohtang Pass, Hadimba temple, old Manali etc. In Kullu-Manali, you are going to see the best sights you ever had in your life. There are lots of heart touching places in Kullu-Manali those can easily wins your heart in first sight. Kullu-Manali is a big exposure of Natural creation where you will feel the breeze air, high mountains with snow covered peaks and stormy rivers. Hadimba Temple: Hadimba temple is just near about Manali of just 2-3 km of distance from Manali Bus stand. Kullu-Manali is also known as land of God & Goddess. There is great faith in people for Hadimba temple and you will see good crowd around the temple. Manu Temple: Manu temple is situated at old Manali and just opposite the Hadimba temple. It takes hardly 15-20 minutes from Hadimba temple to reach Manu temple. Manali is named after Manu God. Manu temple provides the great views of mountains and sizzling forestry scenes. Fresh air comes from mountains blows your mind and give pleasant feeling. Vashisht Temple: Vashisht temple situated at left bank side of Manali and near about 5 km from Manali, Vashisht temple is famous for hot spring water and Jana falls. You must visit here and take blessings for your happy life. Solang Nala Valley: Solang Nala valley is the main and popular picnic spot in Manali. it is at a distance of 14km from Manali. You can enjoy Skating, Paragliding, parachuting and zorbing at Solang Nala. Solang Nala is basically famous for it summer and winter condition and you will definitely make some beautiful memories here. Rohtang Pass: Rohtang pass is very crowded place in tourist point of view. It is 51 km away from Manali and connects the two districts of Himachal Pradesh i.e Kullu and Lahaul Spiti. Rohtang pass is only available in May to November time for tourists and after that it is closed due to roadblocks by heavy snowfall. You can see the number of vehicles of tourist comes to see Rohtang Pass, that’s why, you can also face the great traffic over the Rohtang Pass. Just visit here feel the humid weather and natural beauty of Rohtang pass. If our lovely couples plans for special party and wanna surprise to his/her partner, We will also make arrangements for them. Tourist buses and taxi facilities is available for tourists. Special events for couples to make their honeymoon special. Proper Security is given for clients. Why choose us for Manali Honeymoon Package? Agency is active from last 5 years. 5+ years experienced tourist guides. Also provides the Services from Chandigarh, Delhi, Mumbai. Some of our popular tour packages including honeymoon are Shimla Manali tour package, Kinnaur tour package, Shimla tour package,Manali tour package,Dharamshala tour package and Dalhousie tour package.